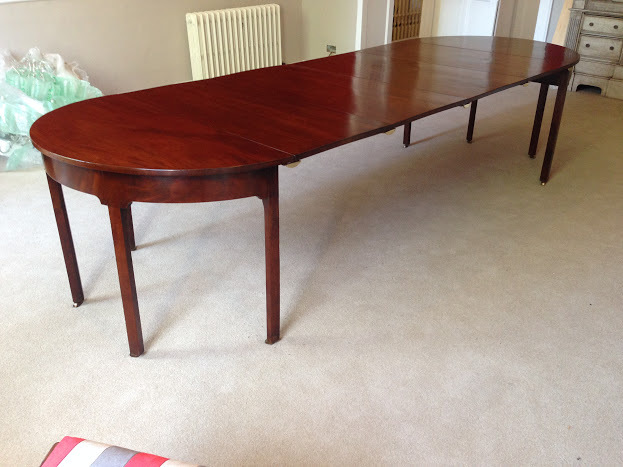 This stunning 14 seater Georgian mahogany D-end table required having a new leaf made. The new leaf was crafted from a reclaimed piece of mahogany and coloured and patinated to match the rest of the table. New bearers to support the leaves were made from European oak. 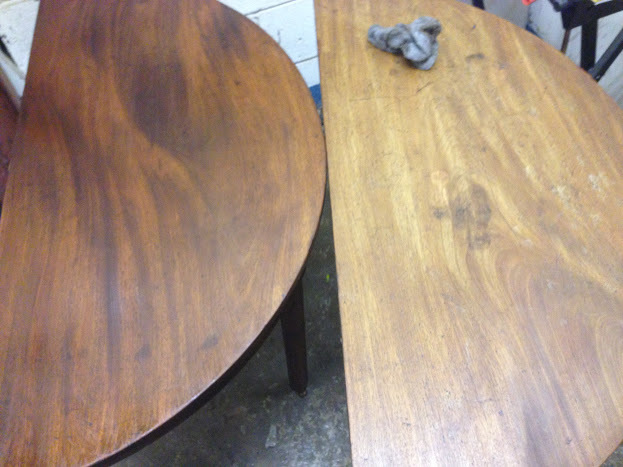 The table was then French polished with up to 50 coats of shellac and finished with wax. 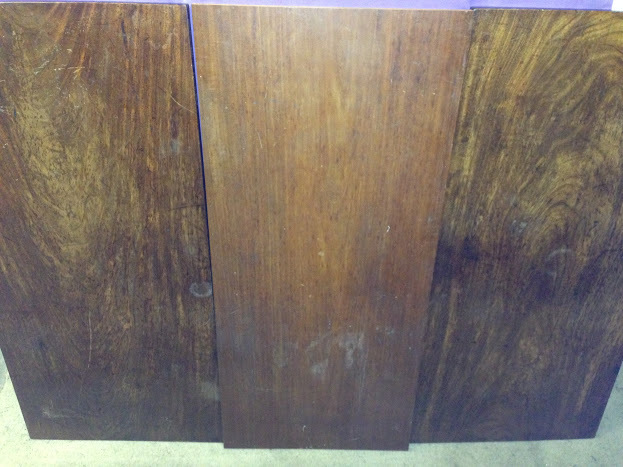 Showing the effects of sunlight damage on opposite ends of the table. 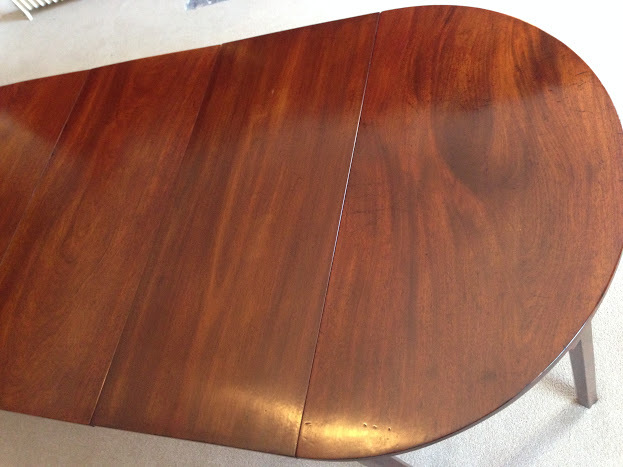 “New” reclaimed mahogany leaf to extend tabl. Georgian D-end table after restoration.